CBEC notifies changes in GST rates and exemptions in respect of various commodities, including 5% on cereals, pulses and flours put up in unit container and bearing registered brand name or bearing brand name on which actionable claim or enforceable right in court of law is available. Collections under the GST dropped marginally to Rs 90,669 crore for August from therevised figure of Rs 94,063 crore for July. 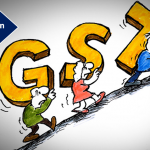 GST Network (GSTN) has tweaked some of the features on its portal over the past month to make the system more robust and allow glitch-free tax payment facility to almost 35 lakh assessees, CEO Prakash Kumar said on Sunday. Of the total 87.33 lakh registered businesses on the GSTN, which manages the IT infrastructure of the new tax regime, 68 lakh. In view of difficulties of online filing, the industry body suggested that “the due dates for filing GSTR-1, GSTR-2 and GSTR-3 should be deferred for another month or two” Industry chamber CII today sought extension of time by two months for filing of GST returns in view of difficulties being faced by businesses. The GST Council has already exten. This article discusses in detail “whether -GSTR3B is to be filed mandatorily or not when it entails huge tax liability due to submission of some wrong information & non revision of the same or filing of the same can be avoided filing of GSTR-1, 2 & 3?” Query : Sir, i have done mistake..
Query: How should the assessee disclose the details of inward supplies on which he wishes to avail input tax credit? Banks have started the process of scanning account details of directors disqualified by the MCA to analyze their links with shell companies and check whether they diverted funds. RBI has notified the amendments to Foreign Exchange Management (Transfer or Issue of Security by a Person Resident outside India) Regulations, 2000 as per the existing norms. The Central Government has notified the Customs and Central Excise Duties Drawback Rules, 2017 to replace the Customs, Central Excise Duties and Service Tax Drawback Rules, 1995 which shall be effective from 1.10.2017. SEBI allowed Stock brokers to submit monthly data on their clients’ funds to the exchanges within three trading days after the month-end. Currently, brokers need to submit this data by the next trading day. Prime Minister constituted a five member Economic Advisory Council (EAC) headed by Niti Aayog member Bibek Debroy, at a time when concerns are being raised over the declining growth in India. All efforts are made to keep the content of this site correct and up-to-date. But, this site does not make any claim regarding the information provided on its pages as correct and up-to-date. The contents of this site cannot be treated or interpreted as a statement of law. In case, any loss or damage is caused to any person due to his/her treating or interpreting the contents of this site or any part thereof as correct, complete and up-to-date statement of law out of ignorance or otherwise, this site will not be liable in any manner whatsoever for such loss or damage.The visitors may visit the web site of Government site Like Income Tax Department, Services Tax, Excise, GST Etc for resolving their doubts or for clarifications. Mumbai ITAT allows assessee-company’s claim of exemption u/s 54G for AY 2004-05 with respect to capital gains arising on sale of land, rejects Revenue’s denial on the ground that investment was made in plant and machinery after 9 years of shifting of industrial undertaking. Hence, assessee can purchase machinery even after shifting and commissioning of business from the new premises, however, opines that most important and decisive factor for claiming the deduction is ‘transfer’ of capital asset. [TS-410-ITAT-2017(Mum)]. High Court Allows Clean Energy Cess credit utilization until CBEC evolves appropriate process therefor. CBEC made in the notification of the Government of India in the Ministry of Finance (Department of Revenue), No.2/2017- Central Tax (Rate), dated the 28th June, 2017, published in the Gazette of India, Extraordinary, Part II, Section 3, Sub-section (i), vide number G.S.R. 674(E), dated the 28th June, 2017. Vide notification no 28/2017, dated 22th September 2017. 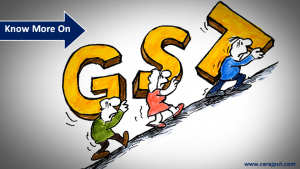 GST network has tweaked some of the features on its portal over the past month to make the system more robust and allow glitch-free tax payment facility to nearly 35 lakh assessees, its CEO Prakash Kumar Said. Query: Where a supplier transfers a running business as a whole either due to sale, merger, amalgamation of such business, whether the portion of the un-utilized input tax credit by the supplier can be claimed immediately by the recipient? Answer: There is no specific provision under the Act prohibiting transfer of such unutilized credit. Rather, Section 18(3) specifically provides that when there is a change in constitution of a registered person on account of sale, merger, or amalgamation of business with specific provision of transfer of liabilities, the registered taxable person shall be allowed to transfer the input tax credit which remains unutilized. Therefore, if the recipient is registered under the Act, he should be eligible to claim such unutilized credits. In a situation, where the recipient is not registered under the Act, he may have to make a fresh application for registration and claim such unutilized credits after making an intimation to the department. MCA has notified the Companies (Restriction on Number of Layers) Rules, 2017 which shall come into force from 20-09-2017. Now no company, other than a company belonging to a class specified, shall have more than two layers of subsidiaries. MCA has notified the amendments to the Companies (Acceptance of Deposits) Rules, 2014 applicable from 19-09-2017. CBDT asks I-T department to take urgent steps for collection from the TDS category witnessing a sluggish pace, It asked the I-T dept to pull up its socks and take “urgent” steps and also conduct survey operations to shore up the funds. The Department of Industrial Policy and Promotion (DIPP) will facilitate the process of ranking and it would be done by a third party. The Centre has initiated an exercise to rank states and Union territories on the basis of measures being taken by them to promote buddi entrepreneurs. The visitors may visit the web site of Government site Like Income Tax Department, Services Tax, Excise, GST Etc for resolving their doubts or for clarifications. Income Tax Department at the time of login asking for Residential Status, Mobile and Email, Bank details and at last Mobile and E-mail OTP. Otherwise Login is not allowed. Also, one Mobile and E-mail address cannot be used for more than 3 Assessee. CBDT via Notification No. 9 dated. 19.09.2017 notifies procedure for filing Statement of Income to avail foreign tax credit as per Rule 128 of Income Tax Rules 2016. CBEC exempts intra state supply of heavy water and nuclear fuels falling in Chapter 28 of the First Schedule to the Customs Tariff Act, 1975 (51 of 1975) by the Department of Atomic Energy to the Nuclear Power Corporation of India Ltd from the whole of the central tax leviable thereon under section 9 of the Central Good and Services Tax Act, 2017. Vide notification no 26/2017, dated 21thSeptember 2017. As many as 2.97 million assessees have filed the summary input-output return under the GST for the month of August (‘GSTR 3B’), much less than the 4.6 million that came for the month of July. Query: I have a registration as an Input Service Distributor. Am I required to raise invoices even though no taxable supplies are made from this registration number? Answer: Yes. An Input Service Distributor (ISD) should issue a tax invoice being an ‘ISD invoice’ for distributing credits to the GST registrations that have the same PAN as that of the ISD. Such invoice will be different from invoices reflecting supply of goods or services (refer Invoice Rules). This is a document required under Section 20 of the Act. MCA made amendments in companies Act, 2013. These rules may be called the Companies (Restriction on number of layers) Rules, 2017 which shall come into force on the date of their publication in the official Gazette. Vide notification no 01/1312013 CL-V (Vol.IIl), dated 20.09.2017. The last date for submission of research proposal for “Funding of Research Studies and Workshops conference, etc. under the CDM plan Scheme” is now extended up to 29th September, 2017. SEBI has empowered stock exchanges to conduct forensic audits on listed companies which seem dubious, being suspected of use as conduits for illicit fund flow. A draft notification by the Central Board of Direct Taxes (CBDT) has not gone down well with the industry, which said it would increase compliance burden on them at a time when they are already struggling to cope with issues related to the goods and services tax (GST) regime. However, some of them said that the notification is aimed at bringing abo. The income tax department’s e-filing website remained inaccessible to users for about 2 hours today amid growing concern about cyber security threats to the financial sector The income tax department’s e-filing website remained inaccessible to users for about two hours on Wednesdayamid growing concern ab. The BSE 500 list, to provide explanation on transition credit they claimed in July under GST. The government today ruled out any further extension of deadline after December for filing GSTR-3B tax returns by businesses. GSTR 3B is a simple return form introduced by the CBEC for the month of July and August, following the roll out of the goods and services tax from July . “We have already extended the period for GSTR-3B… People ha.. The Kerala GST department has notified that registrations for entities mandated to collect and deduct tax at source (TDS) have been made compulsory from last Monday. (September 18). 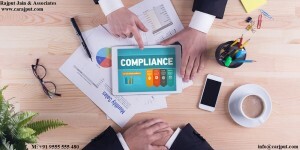 The notification said that government or semi-government institutions, societies and public sector organisations are expected to complete the registration forma. The government today said businesses that want to deregister their brands for availing the benefit of lower GST will have to file an affidavit before the tax commissioner about forgoing the rights. Also, the businesses will have to print in indelible ink on containers in which they are selling cereals, pulses, flours that they have voluntarily for. Query: Since some customers may not bear the taxes if shown separately, can a single consolidated price inclusive of all taxes be shown along with such a declaration? Answer: The invoice rules prescribe a separate field to mandatorily mention prominently the amount of tax and the rate of tax applicable on the price at which the supply is made. Therefore, mentioning a consolidated amount without showing the tax separately will not be valid. RBI came up with a discussion paper on peer-to-peer lending (P2P), seeking to regulate the fast emerging crowd funding platforms as the new financing model has assumed importance too significant to be ignored. All peer-to-peer lending (P2P) platforms will be regulated by the Reserve Bank of India (RBI), according to a government of India notification released on Wednesday. The gazette notification stated that all the P2P loan platforms will be treated as non-banking financial companies (NBFCs) and will be brought under the ambit of the banking regulator..
E-File TRAN-1 by 10.2017. Option to revise it once till 31-10-17. Notification 3/2017 CT of 21 Sep 2017. The government´s move to debar directors of companies that have not filled annual returns for three successive years is likely to be challenged in courts citing retrospective application of the Companies Act, 2013. SEBI proposed move to simplify category classifications of mutual fund schemes may lead to a change in the definition of balanced funds. Balanced funds in the past few years and unofficially insisting on a 50:50 equity-to-debt mix for new scheme approvals. Never be bullied into silence. Never allow yourself to be made a victim; accept no ones definition of your life. CBDT issued draft notification to Companies and taxpayers getting their accounts audited will be required to submit income estimates and tax liabilities for six months of the financial year to the income tax dept byNov 15, in a move aimed at keeping a close check on flow of revenue. ICAI has also released E-Income Tax Book. Get the Income Tax book for free from this link: income tax book. CBEC has granted extension of time limit for submitting the declaration in FORM GST TRAN-1 under rule 120A of the Central Goods and Service Tax Rules, 2017 till 31st October, 2017. Query: After filing of Form GSTR-1, the recipient has modified/deleted/added the details. What is the procedure to be followed by the supplier? MCA filing of Annual Accounts/ financial statements of the Company for the financial year ended March 31, 2017 is approaching i.e. October 29, 2017. RBI has assured banks that they can classify priority loans extended to defaulting companies in the bankruptcy process as standard debt in a move aimed at ensuring that entities which can be revived are able to raise resources, said people with knowledge of the matter. ICAI has released the complete book of Companies Act 2013 in its official website. The book can be used for both Examination and professional purposes. Get the book from this link: Companies Act Book. Smile to solve the problems and silence to avoid the problems. Wish you and your family a very happy Navratras. May Maa bless all of us with Happiness, Peace of Mind and satisfaction of Life. Jai Mata Di. ITAT Bangalore held that TDS not deductible on loss on subscription to chit. Shri Ashok Kumar Rai Vs. The Joint Commissioner of Income Tax (ITAT Bangalore). CBEC extends the time limit for furnishing the return by an Input Service Distributor under sub-section (4) of section 39 of the said Act read with rule 65 of the Central Goods and Services Tax Rules, 2017, for the month of July, 2017 upto the 13th October, 2017. Vide notification no 31/2017, dated 11th September 2017. CBEC extends the time limit for furnishing the details or return, as the case may be, under sub-section (1) of section 37, sub-section (2) of section 38 and sub-section (1) of section 39 of the said Act, as specified in column (2) of the Table for the month of July, 2017,for such class of taxable persons or registered persons, as the case may be, as specified in the corresponding entry in column (3) of the Table till the time period as specified in the corresponding entry in column (4) of the Table. Vide notification no 30/2017, dated 11th September 2017. When we develop the ability to listen to negative comments without losing temper or confidence, it means now we are become matured & truly Educated. 1.Gov.has now set its sights on overhauling the 56-year-old direct taxes law covering income and corporation taxas it seeks to make the Indian regime more contemporary and tailor it to current requirements. 1.CBEC extends the time limit for furnishing the details or return, as the case may be, under sub-section (1) of section 37, sub-section (2) of section 38 and sub-section (1) of section 39 of the said Act, as specified in column (2) of the Table for the month of July, 2017,for such class of taxable persons or registered persons, as the case may be, as specified in the corresponding entry in column (3) of the Table till the time period as specified in the corresponding entry in column (4) of the Table. Vide notification no 30/2017, dated 11th September 2017. 1.Govt. has now set its sights on overhauling the 56-year-old direct taxes law covering income and as it seeks to make the Indian regime more contemporary and tailor it to current requirements. 2.Jewellery sales have declined by around 50 per cent over the past four weeks, due to consumers’ deferring of orders amid fear of future action against them under the Prevention of Money Laundering Act. 3.GST @5% on GTA Service will be paid by Service Receiver under RCM. Service Receiver can take full credit of GST so Paid on GTA. GTA can opt for 12% GST with ITC or 5% GST with no ITC. 4.It has come to our knowledge that Govt. of India decides to extend the dates of Forms GSTR 1, GSTR-2 and GSTR-3 for the month of July to 20th, 25th and 30th September 2017 respectively. Dates for August Returns extended to 5th, 10th and 15th October respectively. Official notification is awaited. 1.Jewellery sales have declined by around 50 per cent over the past four weeks, due to consumers’ deferring of orders amid fear of future action against them under the Prevention of Money Laundering Act. 2.The Central Government delegates powers to Regional Directors to make representations in case of Reduction of Share Capital by the Company. 1.No matter how many times “teeth bites the tongue”​ ​They still “stay and work together”. That’s the “spirit of forgiveness and relationship. 2.Education is not the name of any degree or certificate that can be shown to others as a proof. But education is the name of our behavior, attitude, actions, language and personality with others in real life. 1.Query: How will transfer of credit on account of sale, merger, amalgamation etc be effected? Answer: The registered person is required to furnish the details of sale, merger, amalgamation, de-merger, lease, transfer of business in Form GSTR ITC-02 electronically with a request to transfer the unutilized credit to the transferee. 1.All efforts are made to keep the content of this site correct and up-to-date. But, this site does not make any claim regarding the information provided on its pages as correct and up-to-date. The contents of this site cannot be treated or interpreted as a statement of law. In case, any loss or damage is caused to any person due to his/her treating or interpreting the contents of this site or any part thereof as correct, complete and up-to-date statement of law out of ignorance or otherwise, this site will not be liable in any manner whatsoever for such loss or damage. 2.The visitors may visit the web site of Government site Like Income Tax Department, Services Tax, Excise, Etc for resolving their doubts or forclarifications. Place of supply of satellite launch services by ANTRIX to international customers would be outside India in terms of section 13(9) of IGST Act, 2017 and where such supply meets the requirements of section 2(6) of IGST Act and thus constitutes export of service will be zero rated. Where satellite launch service is provided to a person in India, the place of supply of satellite launch service would be taxable. Services by way of admission to FIFA U-17 Football World Cup- 2017 events have been exempted from GST. Revised GST Return (GSTR-1, GSTR-2 & GSTR-3) due dates for the month of August & September 2017 is not yet notified. GSTR-3B (Summary Return) for September to December 2017 to be filed by 20thof the next month of the relevant tax period (earlier GSTR-3B was only required for July & August 2017). Registration under composition scheme for both new registrants and migrated persons extended upto 30thSeptember, 2017. The due date for filing of GST TRAN-1 (Transition Return) extended to 31stOctober, 2017 (from 28th Sept 2017). Further, such Return can be revised once only. Registration for persons required for deduct TDS or collect TCS will commence from 18thSept 2017 (The date of such deduction / collection of TDS / TCS is not yet notified). Presently, any person making inter-state taxable supplies is not eligible for threshold exemption of Rs. 20 lacs (Rs. 10 lacs in special category states except J & K) and is liable for registration. It has been decided to allow an exemption from registration to persons making inter-State taxable supplies of handicraft goods upto aggregate turnover of Rs. 20 lacs as long as the person has a Permanent Account Number (PAN) and the goods move under the cover of an e-way bill, irrespective of the value of the consignment. Presently, a job worker making inter-State taxable supply of job work service is not eligible for threshold exemption of Rs. 20 lacs (Rs. 10 lacs in special category states except J & K) and is liable for registration. It has been decided to exempt those job workers from obtaining registration who are making inter-State taxable supply of job work service to a registered person as long as the goods move under the cover of an e-way bill, irrespective of the value of the consignment. This exemption will not be available to job work in relation to jewellery, goldsmiths’ and silversmiths’ wares as covered under Chapter 71 which do not require e-way bill.